David Sinclair, Ph.D. is Co-Director of the Paul F. Glenn Center for the Biology of Aging, a Professor of Genetics at Harvard Medical School, Associate Member of the Broad Institute for Systems Biology, and co-founder of Sirtris Pharmaceuticals, Waltham, MA. Dr. Sinclair’s research aims to identify conserved longevity control pathways and devise small molecules that activate them, with a view to preventing and treating aging-related disease. His lab was the first to identify small molecules called STACs that can activate the SIRT pathway and extend lifespan of a diverse species. They also successfully discovered key components of the aging regulatory pathway in yeast and are now focused on finding genes and STACs that guarantee longer periods of productivity and health in the lives of mice. Dr. Sinclair obtained a BS with first-class honors at the University of New South Wales, Sydney, and received the Commonwealth Prize for his research. In 1995, he received a Ph.D. in Molecular Genetics and was awarded the Thompson Prize for best thesis work. He worked as a postdoctoral researcher with Dr. Leonard Guarente at M.I.T. being recruited to Harvard Medical School at the age of 29. 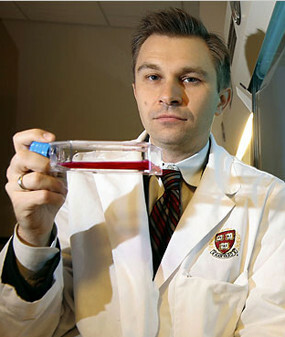 Dr. Sinclair has received several additional awards including a Helen Hay Whitney Postdoctoral Award, and a Special Fellowship from the Leukemia Society, a Ludwig Scholarship, a Harvard-Armenise Fellowship, an American Association for Aging Research Fellowship, and is currently a New Scholar of the Ellison Medical Foundation. He’s also won the Genzyme Outstanding Achievement in Biomedical Science Award for 2004. Click here to see a compendium of Dr. Sinclair’s mainstream press coverage from around the world.